Nayib Bukele, whose family is originally from the occupied Palestinian territories, won El Salvador’s presidential elections, getting more votes than his three rivals combined to usher out the two parties that dominated politics for a quarter century in the crime-plagued Central America nation. Born in 1981, Bukele was elected as the mayor of San Salvador in 2015. His family had migrated to Latin America from occupied Jerusalem in the early 20th century. His father Armando Bukele Kattán is a prominent imam in San Salvador. The Supreme Electoral Court declared Nayib Bukele the winner late Sunday, saying he had nearly 54 percent of the votes, with about 90 percent of ballots counted. Carlos Callejas of the Nationalist Republican Alliance ended in a distant second at less than 32 percent, while even farther back were former Foreign Minister Hugo Martinez of the currently governing Farabundo Marti National Liberation Front and a minor party candidate. By surpassing the 50 percent threshold, Bukele won outright and avoided the need for a March runoff against the No. 2 finisher. Bukele claimed victory even before the formal announcement of his win, inviting a jubilant crowd in the capital of San Salvador to celebrate in the streets. 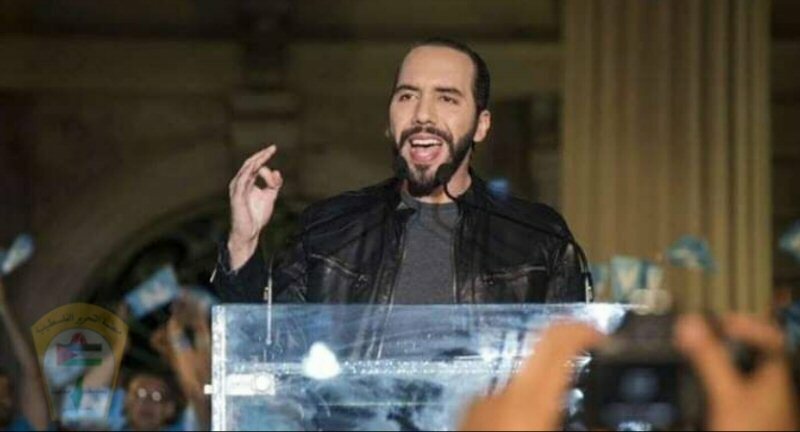 All four candidates promised to end corruption, stamp out gang violence and create more jobs, with crushing crime at the top of the agenda, but Bukele’s campaign resonated more with his countrymen and polls had pointed to him as the strong front-runner going into the election. Roughly 67,000 Salvadorans belong to gangs that terrorize their communities with extortion, murder and other forms of violence. The candidates proposed creating economic opportunities and restoring social values to dissuade Salvadorans from engaging in criminal behavior. El Salvador is small both in size and population, with just 6.5 million people. Salvadorans searching for a better life have joined recent caravans of migrants trekking across Mexico hoping to reach the U.S.